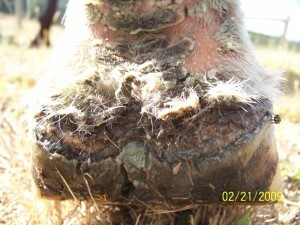 Another dreaded disease with a traditional veterinary prognosis being guarded to poor. 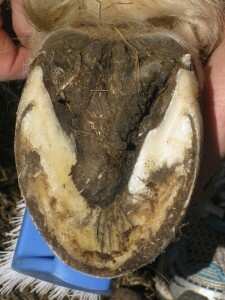 The results in my practice are so far showing that laminitis is a disease with a good to excellent prognosis with 96% of horses returning to work at their current level (or higher) with a management program that is based around correcting the blood flow issues that occur within the laminitic foot. 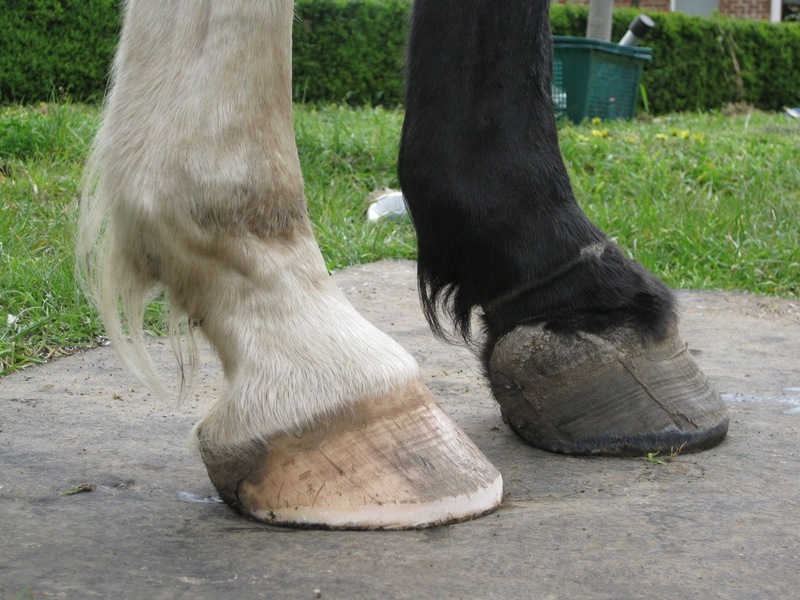 The other 4% of cases were euthenased for humane reasons. Laminitis cases need not be in agony, and they can return to full work in an incredibly short amount of time (2 days – 4 weeks) on average. Cases with full penetration of multiple feet can be returned to work within 2 – 6 months. 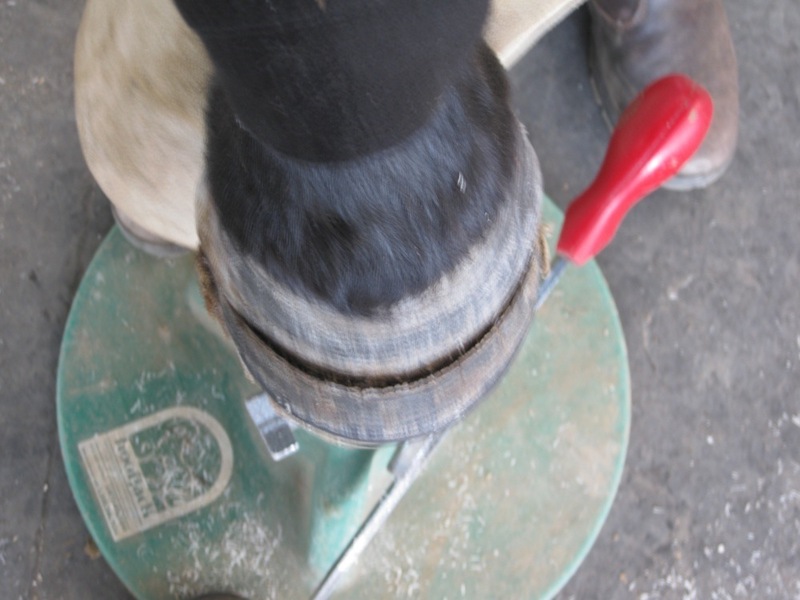 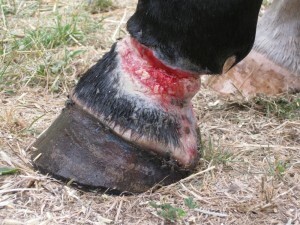 Hoof resections, and Deep Digital Flexor Tendonotomies are methods not used in my practice, as I can rapidly return horses to comfort and work without these procedures. 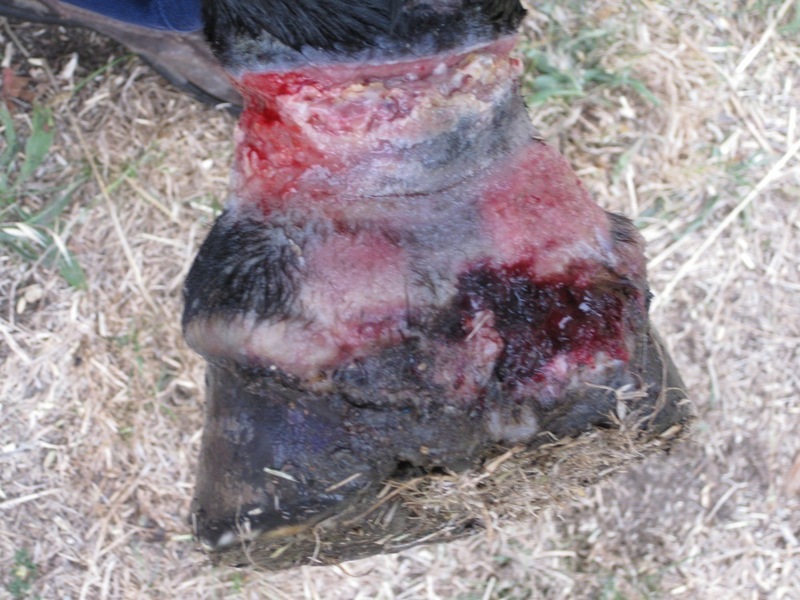 To give you an idea of how well these horses can go, here is the total dose of Phenylbutazone (Bute) used on these cases (no other pain killers used or needed). 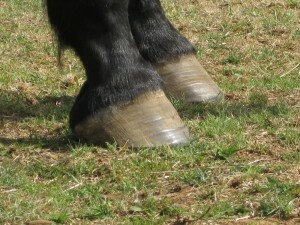 Once treatment began only 19 sachets of Bute were used – she was able to walk and trot at all times after treatment began. The bushfire mare is the only horse I have ever been able to find, who survived Black Saturday with such severe coronary burns and did not slough her feet or penetrate (she did come very close to it – click on her pictures to enlarge them). 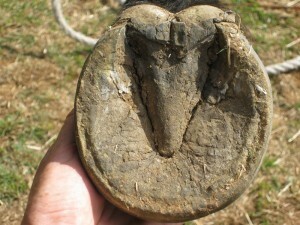 She returned to full work within 8 months. 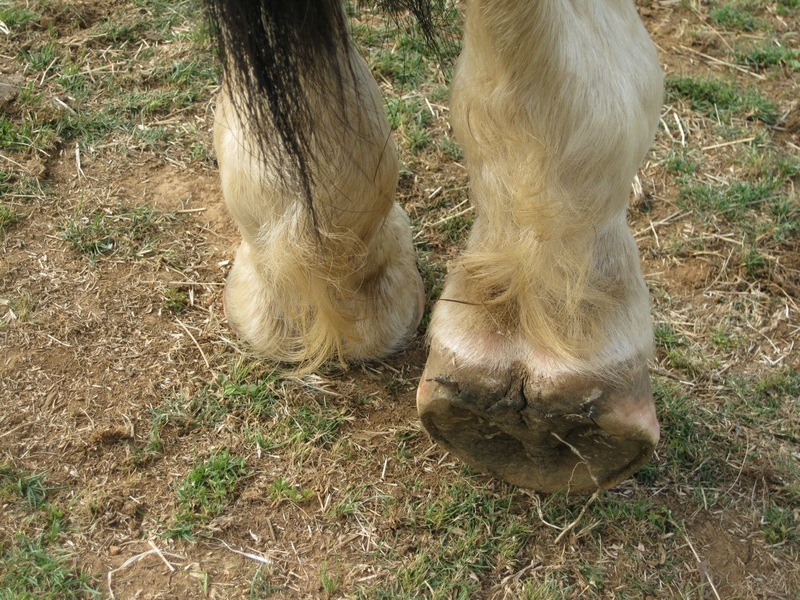 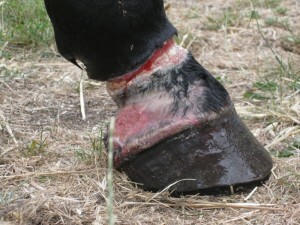 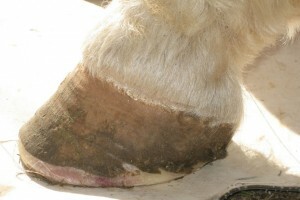 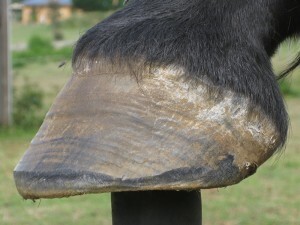 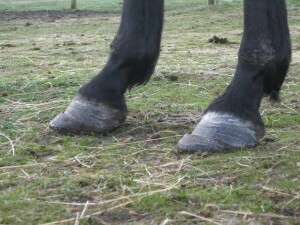 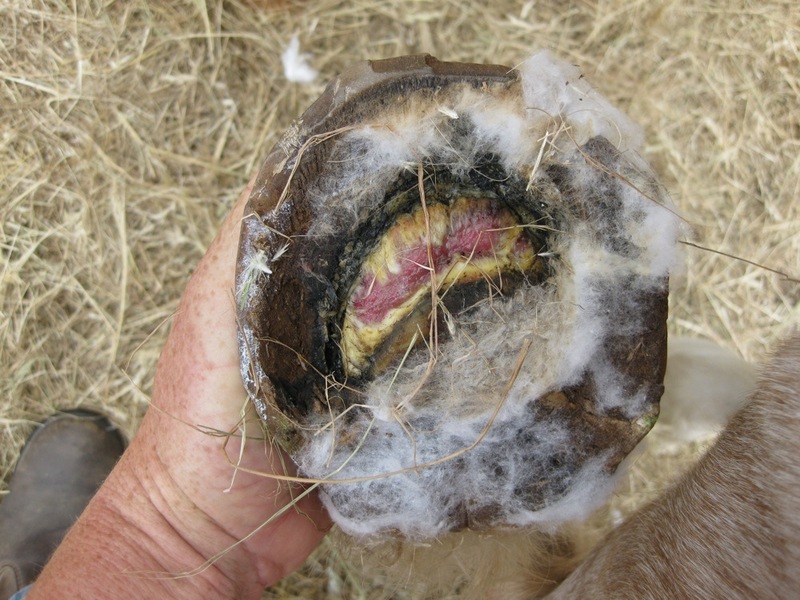 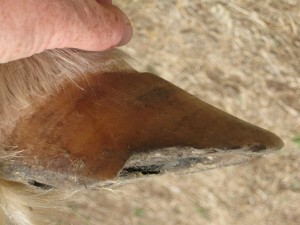 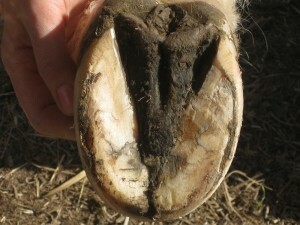 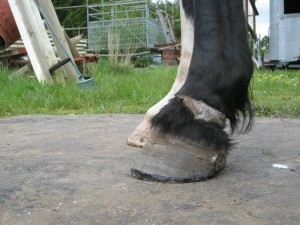 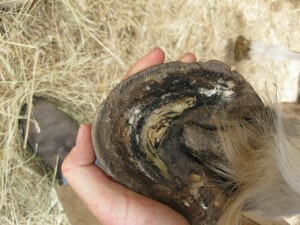 The 700kg warm blood with 360 degree wire laceration and skin/hoof slough – primary vet recommended euthenasia when hoof sloughing became evident, penetration and supporting limb laminitis later occurred – once treatment began only 20 sachets of Bute were used – able to walk and trot at all times, hoof slough prevented. 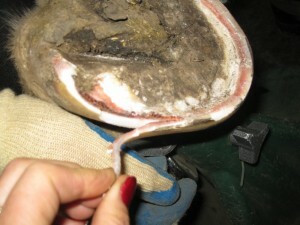 Returned to full soundness within 8 months. The 300kg pony with 4 pedal bones fully penetrated and bleeding, both front feet had between 50 – 75% of the bone exposed, primary vet recommended euthenasia, once treatment began he had less than 10 sachets of Bute over the course of treatment and was able to walk and trot at all times. 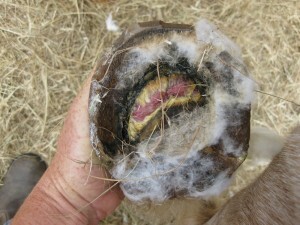 Returned to work within 6 months. All of these horses were recumbent for most of the days before my treatment began. 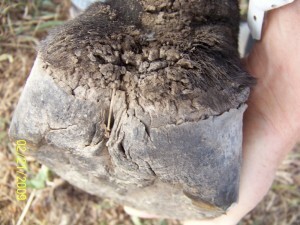 All of these horses have returned to work within 6 – 10 months. 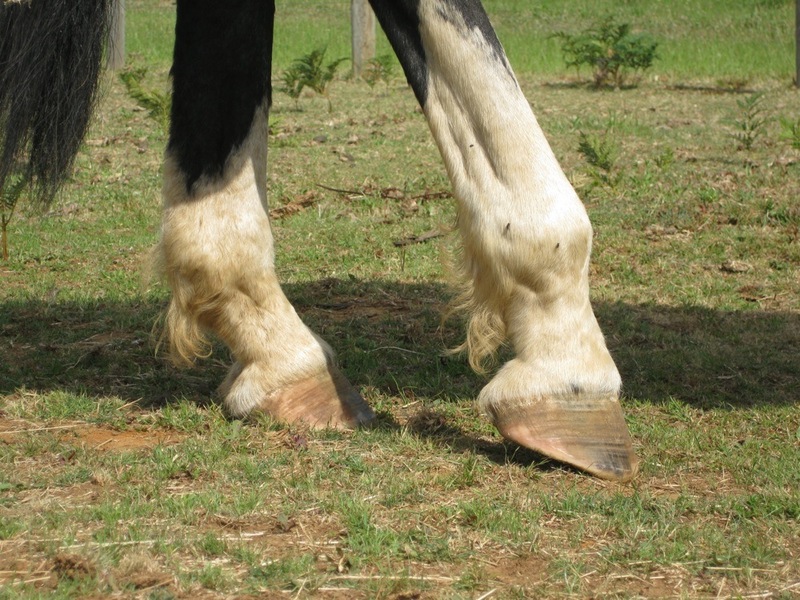 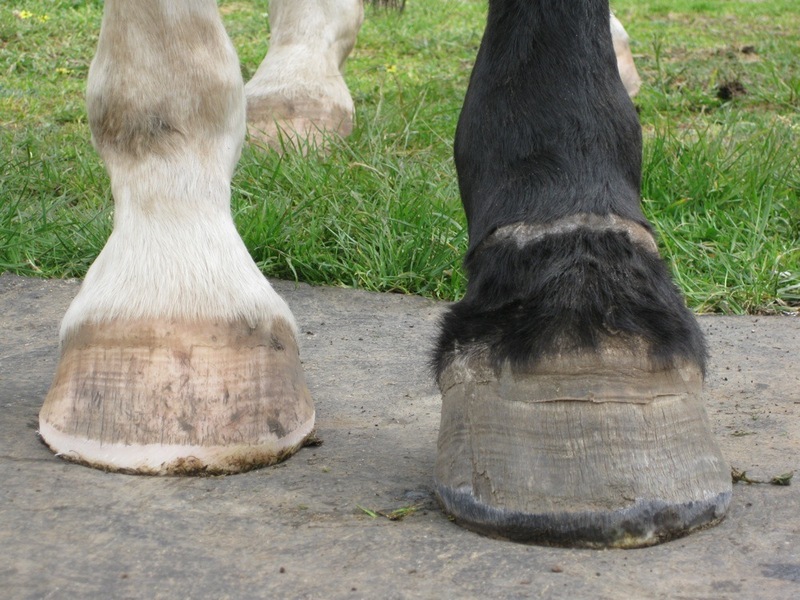 My general laminitis cases without penetration or sloughing usually only need Bute for between 2 – 4 days on average (and 10 – 12 days of Bute for the more severe cases). These are the results of seeing nearly 250 acute and chronic cases over several years. Many times I have been the last resort for most of the horses. 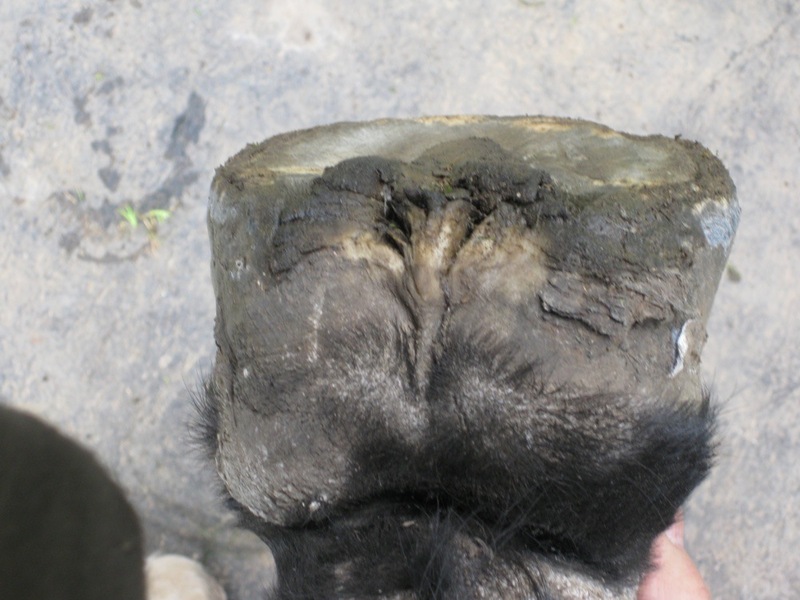 Note: These cases were carefully assessed and managed to ensure their welfare and improvement in pain, was of the highest priority at all times.